Many hospitals are losing revenue and receiving poor reviews due to process inefficiencies that can often result in missed or delayed appointments and patient dissatisfaction. Additionally, with the influx of newly insured health care patients resulting from the Affordable Care Act’s new regulations, it is more of a challenge than ever before to guide patients through the hospital system in an efficient manner. 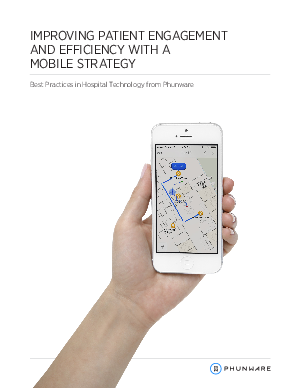 In this white paper, we’ll examine how hospitals can use mobile technology to enhance the patient and visitor experience and drive new revenue through increased efficiency.